On behalf of our faculty, welcome to the Department of Surgery at Hackensack University Medical Center, one of the country leading health care institutions. As chair, my goal is to support clinical excellence, quality education and innovative research. 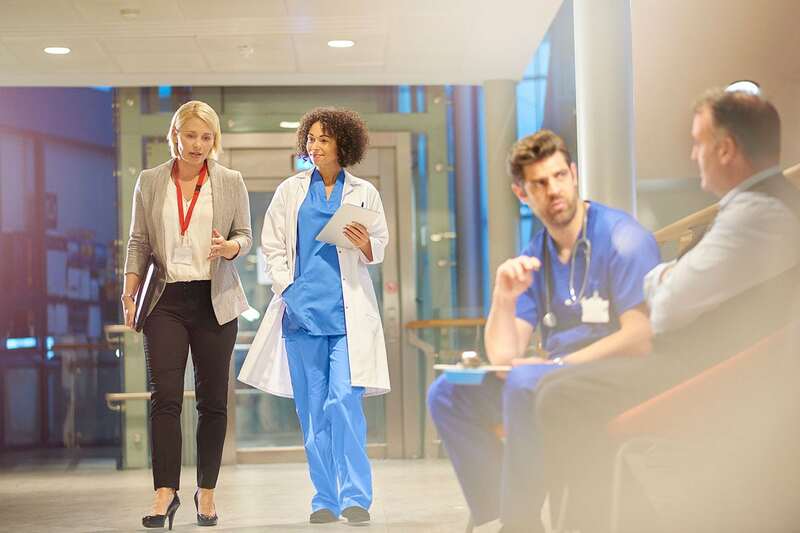 We attract faculty from the nation’s leading institutions and provide state-of the art technology and resources to promote delivery of care of the safest and highest quality. Since joining the Department as Chairman in 2014, I have had the privilege of being part of tremendous growth in our department, institution and specialty. My roles as a member of the medical executive committee, Chair of the Academic Committee of the HMH network and Surgeon and Chief of the OR’s affords representation of Surgery in all essential domains of the medical center’s function. I am truly excited about the opening of the new Hackensack Meridian School of Medicine at Seton Hall University and my role as the founding Chair of the Department of Surgery. Thank you for your interest in the Surgical Residency Program at Hackensack University Medical Center. I encourage you to explore further, how our program will help prepare you to be a Board Certified Surgeon and potential leaders in Surgery. 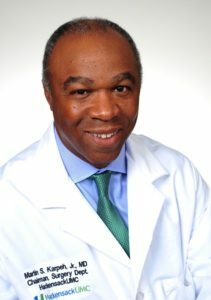 Martin S. Karpeh Jr., M.D. 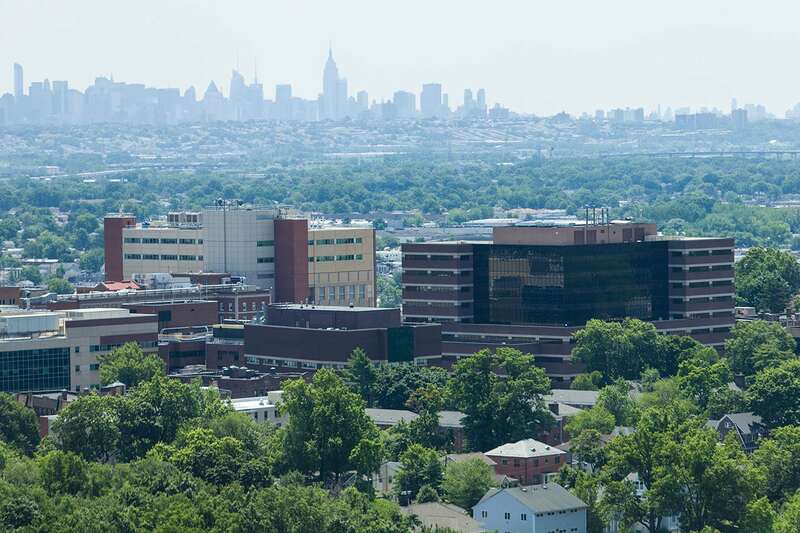 Located just 8 miles west of Manhattan, Hackensack University Medical Center is a nonprofit teaching and research hospital that is the largest provider of healthcare services in the state of New Jersey with 775 inpatient beds. We are a Level II Trauma Center that sees more than 112,000 patients per year and admits nearly 1,300 trauma patients per year from the Emergency and Trauma Center. Annually, more than 36,000 patients visit the Pediatric Emergency Department. U.S. News & World Report ranked Hackensack University Medical Center #1 overall in the state of New Jersey and #4 in the New York Metropolitan Area in its most recent 2017-18 Best Hospitals rankings. 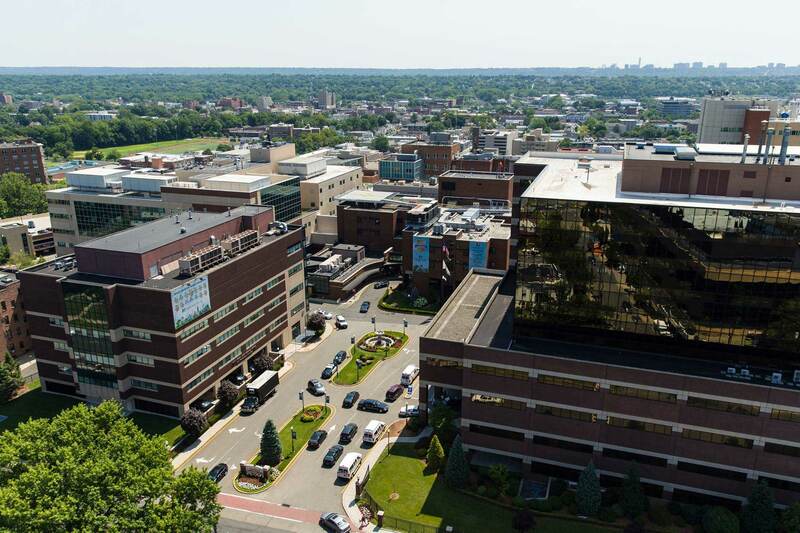 Hackensack University Medical Center has been named one of America’s 50 Best Hospitals by Healthgrades for nine years in a row placing it in the top one percent nationally. Hackensack University Medical Center is home to one of the largest single-site child care centers in the United States. The four-story, 30,000-square foot facility is called the Sarkis & Siran Gabrellian Child Care & Learning Center (CCLC). The center provides care for children from 3 months to 6 years of age. Open year round, Monday through Friday from 6:30 a.m. to 6:30 p.m., the program is designed to enhance intellectual, physical, emotional and social growth. Conveniently located near the Hackensack main campus, HackensackUMC Fitness & Wellness is an expansive fitness center complete with a large selection of state-of-the-art cardio equipment with personal viewing screens. A Sports Performance Center features a turf field, sprint track, sports-specific resistance training equipment and specialized programs for teams and individuals. Over 170 group fitness classes take place weekly including LesMills, Zumba®, Pilates Reformer, Pilates Barre, aqua, yoga, and cycling. As a travel gateway, the New Jersey/New York Metropolitan area is easily accesible to major highways, transportation hubs and international airports for convenient travel. A vital component to our program and the mission of Hackensack University Medical Center. Discover what it means to be a professional at Hackensack University Medical Center.